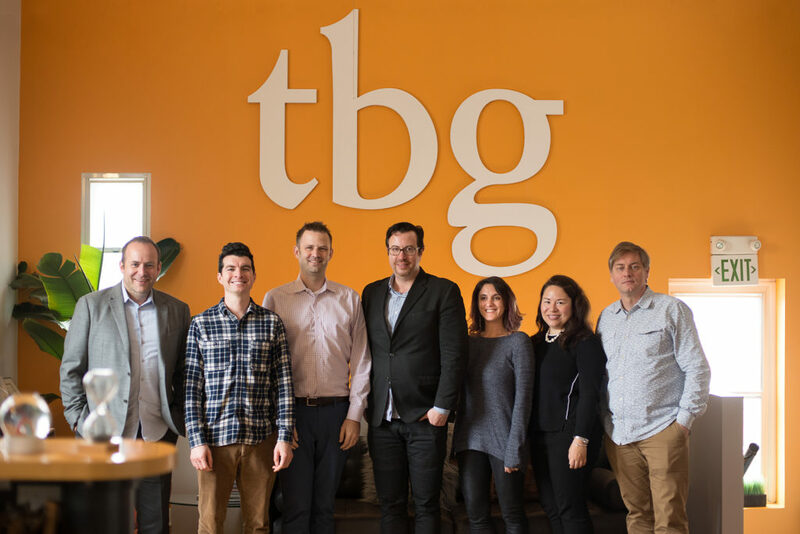 The Consortium of Personalization Professionals (CPP) met at TBG (The Berndt Group) headquarters in Baltimore, MD on October 26 2018 for a lively day of in-depth discussion around the personalization industry’s most pressing issues of the day. Highlights from the meeting follow. As personalization practices mature, staffing models are needed to help organizations understand roles, responsibilities and resourcing needs to support sustainable, scalable personalization overtime. As a group, the CPP analyzed and documented common staffing models for the industry relevant to different stages in project lifecycle and maturity of practice, starting with a “team of one” implementing ad-hoc personalization to a fully-staffed personalization team for a large, global organization. This inventory can act as a prompt to start thinking through optimum staffing scenarios. The group continued its analysis of evolving trends and trajectories within the industry, with an eye towards critically appraising the industry’s claims and aspirations. We endeavored to create a rough inventory of the state of play among various market trends, both real and imagined, and validate against participants’ opinions. 91% of consumers expect experiences to be personalized with relevant offers and recommendations, according to Accenture’s Personalization Pulse Check 2018 study. And, according to the same study, more than 83% are willing to exchange personal data with companies they trust in exchange for more relevant experiences and offers. Consumers in the United States receive the most personalized messages and also have the most positive feelings towards personalization, with Germany and UK consumers the most skeptical, according to Periscope’s Consumers Value Personalization report., Periscope (McKinsey). From the same report, men tend to feel more positive about personalization than women do. Age is also an important factor, with people aged 30-39 being the most positive about personalization, followed by people aged 18-29. In industries like finance and healthcare, it is particularly important to avoid overly invasive personalization strategies and tactics, which run the risk of dissatisfying users. This makes logical sense, and is also confirmed by the Periscope report. In general, the best bet for these industries is to focus anonymous personalization on broader persona groups, based on, say, the pages a user views on your website and a campaign s/he sees. This concept is validated by the fact that capturing general user browsing and other behavioral data (e.g. location where the user visits the site from, sign up for newsletter / register for event, etc) is not considered Personal Health Information (PHI), and is allowed under the the HIPAA Privacy Rule. Over-personalization and overly invasive or excessively pervasive personalization creep users out. Consumers are particularly unnerved when they receive personalized messages from a company that they do not already have a relationship with (hence the need for common frameworks but distinct strategies for multi-holding companies). Overly pervasive re-targeting that follows users from site to site is another major dissatisfier. 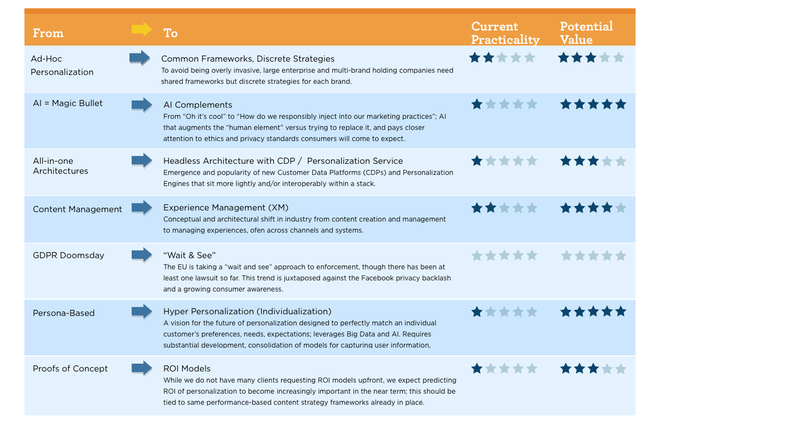 Data integrity is #1 issue in personalization today. Given the market pressure to provide highly relevant experiences, there is a need to develop, consolidate and standardize user data collection and governance models that emphasize accuracy, transparency and ethical use. These models must also take into account the “time horizon,” particularly for periodic business models; for example, in healthcare, a customer’s “last known interaction” may not be relevant since it was a long time ago. The CPP will convene next in March 2019 in Toronto. We will discuss the latest developments in the personalization industry, define typical reference architectures, and continue developing new models and codifying a set of standards to help personalization practitioners make informed decisions.